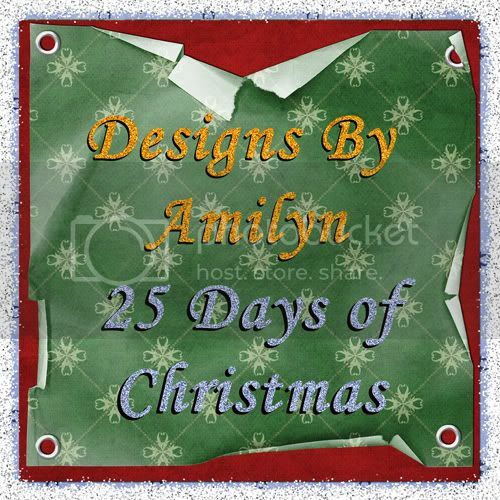 Designs By Amilyn: Upcoming Events & Freebies!!! Coming on Thursday i will be giving away a Thanksgiving Day Freebie!! I got 2 VERY EXCITING things happening December 1st! AND EVEN MORE EXCITING I AM STARTING MY OWN CHRISTMAS PRIZES! Everyday from Dec 1st to Dec 25th I will be giving away pieces of the kit everyday! 103 pieces and a FULL Alpha with numbers & Symbols! Be sure to come everyday as the links will expire after 48 hours. So, make sure you check back here often and bookmark me for some awesome freebies!